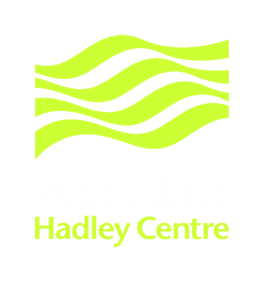 Till Kuhlbrodt and Colin Jones, National Centre for Atmospheric Science (NCAS) and UKESM core group. Following finalization of the scientific evaluation of HadGEM3 GC3.1 (see UKESM newsletter no.4), the first set of “production” runs for the CMIP6 model intercomparison (Eyring et al., 2016) have now begun. These are being performed at the two spatial resolutions of HadGEM3 GC3.1: N96ORCA1 (CMIP6 tag: HadGEM3-GC31-LL) and N216ORCA025 (HadGEM3-GC31-MM). The former of these 2 constitutes the coupled physical model core of UKESM1. Preceding the start of the production runs, the two model versions were spun up in order to transition them form an observation-based “present-day” (PD) initial climate state to a climate state in equilibrium with pre-industrial (PI) radiative forcing. The length of this spin-up phase was 615 years for N96ORCA1 and 224 years for N216ORCA025. For these spin-up runs, the pre-industrial (1850 AD) forcing was used as far as available. This comprises greenhouse gas concentrations, three-dimensional ozone forcing, solar forcing and the influence of land use on vegetation cover. 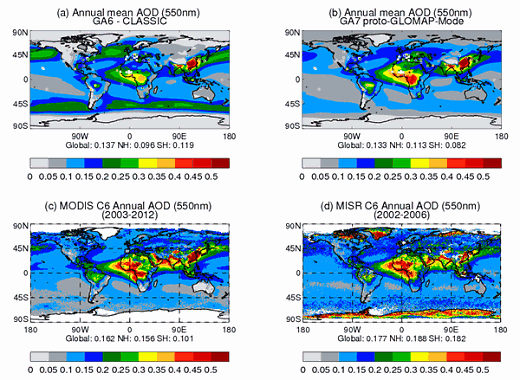 The final version of the forcing datasets for volcanic emissions and aerosol emissions were released only recently. The final coupled model state from each of the 615/224 year spin up runs was then used as initial condition to start the formal pre-industrial forced control run (piControl) for CMIP6. The same initial conditions were also used to begin the first CMIP6 historical simulations of each model version. These run from 1850-2014 using observed, time-varying forcing data. Figure 1. 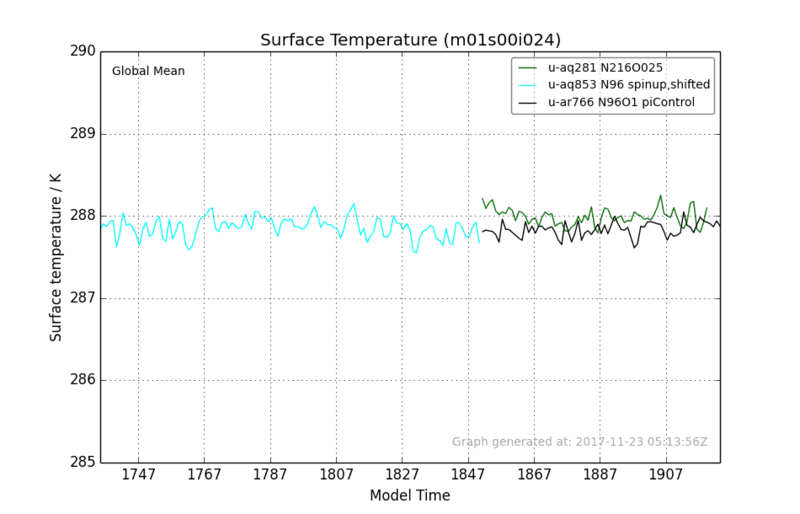 Time series of global annual mean surface temperature from the end of the N96ORCA1 PI spin-up (cyan), the N96ORCA1 pre-industrial control (black) and the N216ORCA025 pre-industrial control (green). The year count is nominal since all simulations have a fixed 1850s forcing. An example output from the two pre-industrial spin-ups and the N96ORCA1 piControl run is shown in Figure 1. For N96ORCA1, the global annual mean surface temperature is around 287.8 K (14.7°C), with some interannual variability. In N216ORCA025, the surface temperature is on average a few tenths of a degree higher. The CMIP6 production simulations have started with the pre-industrial control runs (piControl), followed by the idealised, 150-year long CO2-increase experiments; 1%CO2 transient increase and 4xCO2 abrupt increase. These three experiments form the core of the CMIP experiments, called the CMIP-DECK. As mentioned above, simulations of the historical climate (1850 AD to 2014 AD) have also begun. Projection simulations of the climate throughout the 21st century, based on shared socio-economic pathways (SSPs) and representative concentration pathways (RCPs) for the greenhouse gases, will begin using 2014 simulation data from the end of the respective historical simulations. 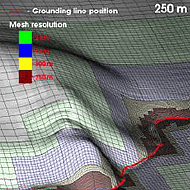 The two versions of HadGEM3 GC3.1 used for CMIP6 will be documented in papers to be published in the Journal of Advances in Modeling Earth Systems. For N96ORCA1, the paper is in preparation (Kuhlbrodt et al., 2017) while for N216ORCA025 the paper has been submitted and is already under review (Williams et al., 2017).